Modern duplex apartment for sale in Ruvigliana, completely renewed in 2018. 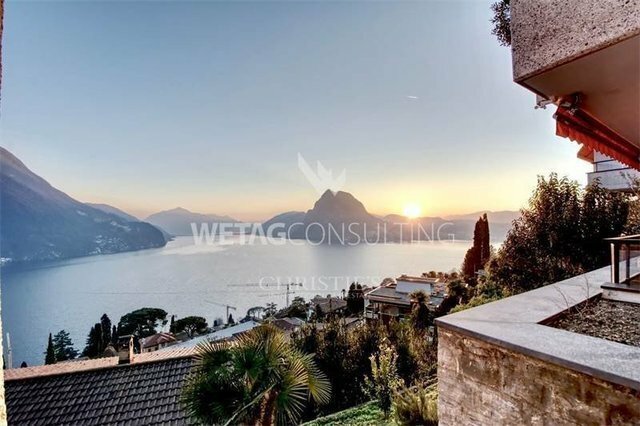 The apartment is south oriented, with a nice covered terrace and small garden and offers a wonderful panoramic Lake Lugano view and enjoys an excellent sun exposure. Moreover, it offers an excellent lay-out, very luxurious finishing’s, bright and well-structured interiors. Indoor pool for resident’s use only.